Empress of the French (1763-1814). 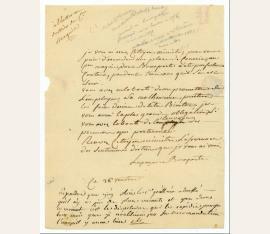 Autograph letter signed ("Lapagerie Bonaparte"). N. p. Small 4to. 1p. with conjugate blank. To the "ministre de la guerre", writing on behalf of Cm. 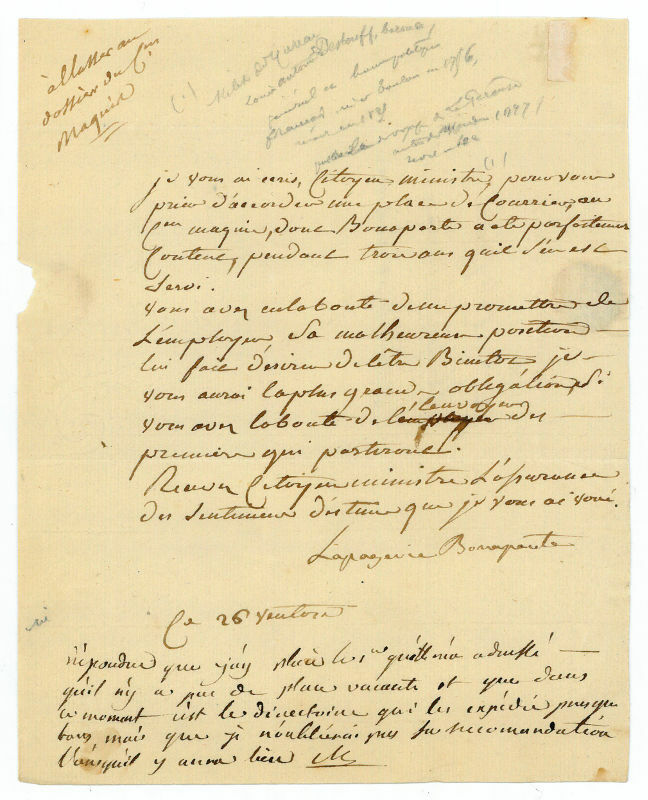 Maquin, asking for employment as he is in an ("unfortunate position") and has served Bonaparte well for three years, and with a manuscript note from the ?minister saying that there are no vacancies at this moment but he won't forget the recommendation. - Folds, browned, and some small damage to edges from breaking the seal.